By far the best sock on the market in my opinion. I always wore thick socks and found my feet sweating and then begin to get cold. This sock is nice and thin and wicks the sweat right away from my foot. Thin socks allows the sweat to wick away from my feet , really keeping them warm. 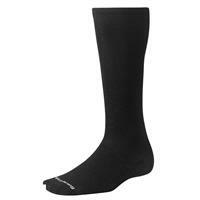 Prior to using these I had really thick socks and my feet would always get cold. This problem occurs no more! This is an excellent ski sock. It's light weight allows for good tactile "feel" through the sock to the ski and snow, making it advantageous for racers. You may choose to wear this as an outdoor sock too, for tobogganing, skating, hockey, or simply shoveling snow. I expect the combination of wool and natural fibers will enable this sock to last for many years.